I feel with a looser definitions on what constitutes “new music,” one can find a wider array of material. Example being a well crafted black/melodic death full length from Germany’s Morgon. It was easy to miss this full length since it was self released in 2014 and has only been lightly reissued by small distributors most recently by Obscure Abhorrence Records. While Morgon’s story is not unlike dozens if not hundreds of metal bands, sometimes decent music goes unheard. This is a really good example. 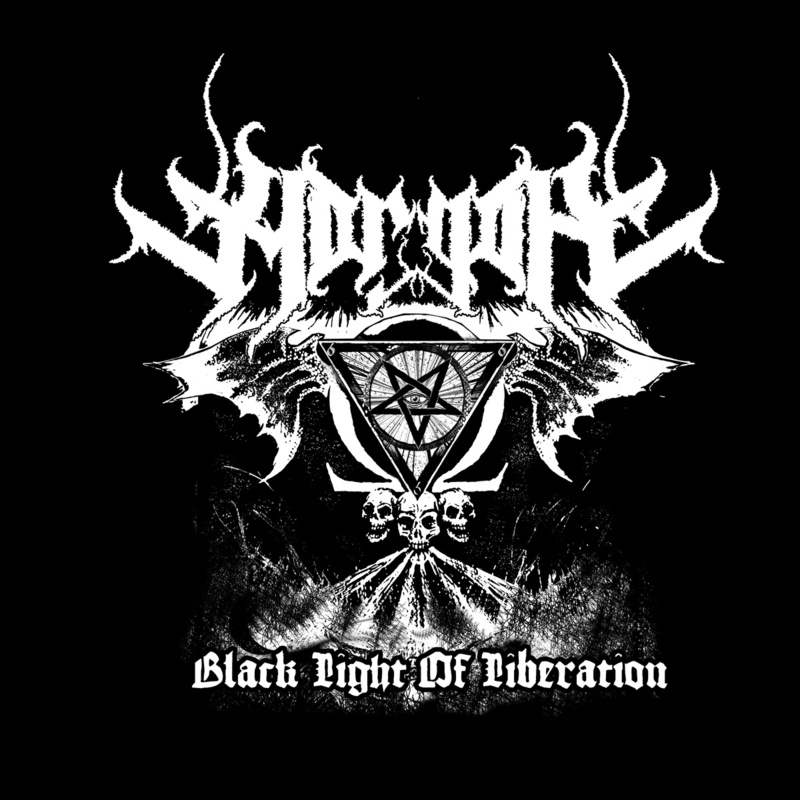 The melodic death tag is something which should be considered when processing Black Light of Liberation. While there are obvious black metal sections throughout the record, there is a distinct groove and hammered harmony which runs the gamut. Songs like “To Behold The Unseen Fires” has an achingly gloomy guitar melody which swings from high on top of cathedrals while “Goddess Of The Blackmoon ” has a swinging tempo which brings visions of pagan funerals or dark rites. “…Of Ashes & Rebirth” is a full soloed interlude which sounds silly but works so well in contenxt. Even though the vocals from H which range from shrieks to throaty growls are strong structures which makes up the entirety of the record. Part of the surprise with Morgon is not the fact that melodic death, black metal, and wild showmanship mixes so well it is that it can be done in a self released record from a near independent band. Black Light of Liberation is interesting not becasue of any of its elements rather the fact that the sound comes off so effortlessly by each of its members which in turn makes the most of its 37 minutes. Morgon is not a band which is riding a wave of critical praise for this record rather one of the dozens of bands who put out records each year to the singing praise of some. I am thankful for the site for giving me the opportunity to gaze through the past and find records which have gone negligent to a larger audience. I wish Morgon the best in the future as they cast gloom over a larger portion of the world.